Merry Christmas everyone. I hope you have had, or are having, a lovely day. 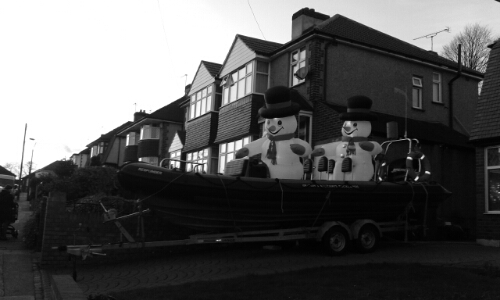 I saw these snowmen today who seemed to be having fun in a landlocked boat. Which seems as good an activity as any to try on Christmas Day. I had a lovely one, thanks! Hope you’re getting through it all OK!